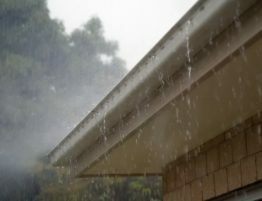 Gutters need replaced every 20 to 40 years. 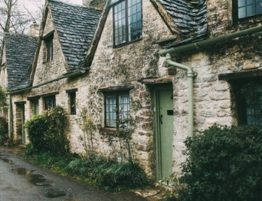 You may need a gutter replacement if you recently purchased an older home or ignored gutter maintenance. 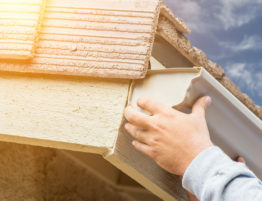 Read below to discover five obvious signs you need a gutter replacement. 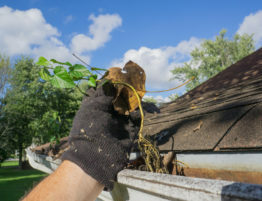 Take the time to inspect the gutters from all sides of your house. If you notice that a section is sagging or uneven this is a sign of damage. Even the smallest of sections sagging is a bad sign. The sagging is often due to the gutters filling with water. If your gutters are not draining the right way, sagging is the start of your issues. If you can’t tell from a distance whether your gutters are sagging, use a level. Pools of water near the base of your home is a sign that you need new gutters. The water will often appear near windows and doors after it rains. Significant leaks or a point of overflow cause the pooling of water. 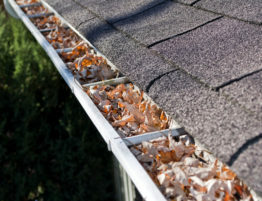 The first thing to do is to make sure your gutter is clear of debris and leaves. Clogged gutters can sometimes cause this problem. If you clear the gutter and problems continue, it is time to contact the experts. Also look for pooling water near your downspouts. Downspouts release water near your foundation but it shouldn’t pool or gather close to it. 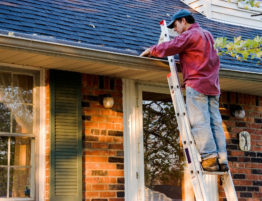 Pealing, discoloration, or cracking of the siding near your gutters is a problem. Inspect the areas above, below, and near your gutters for any of these signs. Look for any of this damage in several locations or areas larger than a few feet. 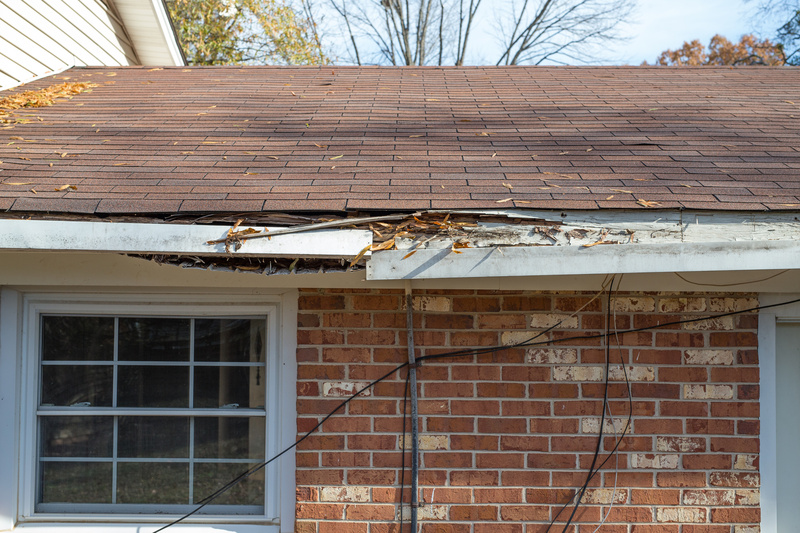 Excess moisture causes these issues, which means your gutters aren’t doing their job. You can patch one or two small cracks or holes as a short-term fix. But if you have a large crack or hole or damage in several locations it times to consider replacement. Cracks and holes will get worse and spread the longer you leave them untreated. It’s important to act fast before you have a large issue on your hands. Even the smallest of holes or cracks can leak water. If this water leaks onto a vulnerable part of your home it could cause bigger issues than your gutter. If you find water damage inside your house you should inspect the condition of your gutters. Spillage from your gutters leads to mildew in your basement or areas near your home’s foundation. 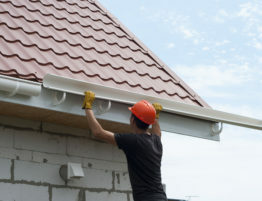 If your gutters need replacing, it’s important to find a knowledgeable and affordable company. Delano Construction exists to serve the Greater Pierce County community through the execution of honest, quality residential construction services. Contact us today and receive expert care with your gutter replacement project. 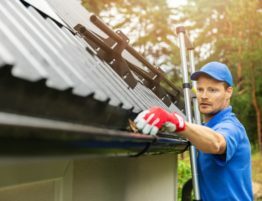 What’s the Average Gutter Repair Cost?